1967 John Deere 4020 light switch wiring. Posted: Mon May 25, 2015 12:14 am Post subject: 1967 John Deere 4020 light switch wiring. Hi, I have a 1967 John Deere 4020 diesel that's been converted to a 12 volt negative ground system in the past. I just got the tractor about a month ago. I've noticed some lights not working and I went to replace the light switch ( p/n ar28401 ). I was in a hurry and I didn't ID each wire before I took them off of the old switch. The old switch had 7 spades on it and the new one has only 6 spades on it. Every picture I've found on the internet has a different marking ID on the back of the switch. Mine does not have a BAT A or BAT B. My switch has these markings on it: R2,HD2,TL,HD1,FL, and another that may be B or not marked at all. I have seven wires from the tractor harness to connect to a 6 spaded switch. I've ordered a JD shop manual for this tractor, but I have a feeling it'll be very bland and not answer my question. I thought about asking Agri services who make harnesses for tractors, but I thought Id give this website a try first. The colors of the wires from the harness are: green, yellow, white, blue, black, brown, and red. the tractor has 4 lights for the fenders. I think that the green goes on the HD2 spade and it has a jumper wire from that connector to I think the spade below the resistor looking thing on the switch. I am very surprised that such a popular tractor doesn't have more info available on the internet. Does anyone know how to connect the harness to this switch? 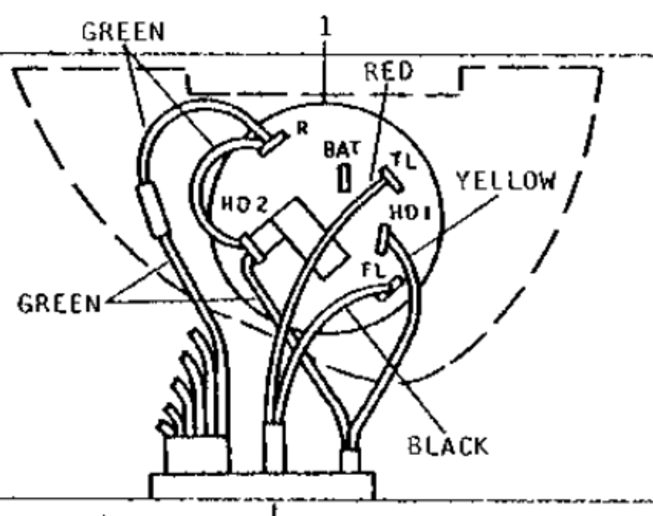 Posted: Mon May 25, 2015 3:10 am Post subject: Re: 1967 John Deere 4020 light switch wiring. Posted: Mon May 25, 2015 8:17 am Post subject: Re: 1967 John Deere 4020 light switch wiring. 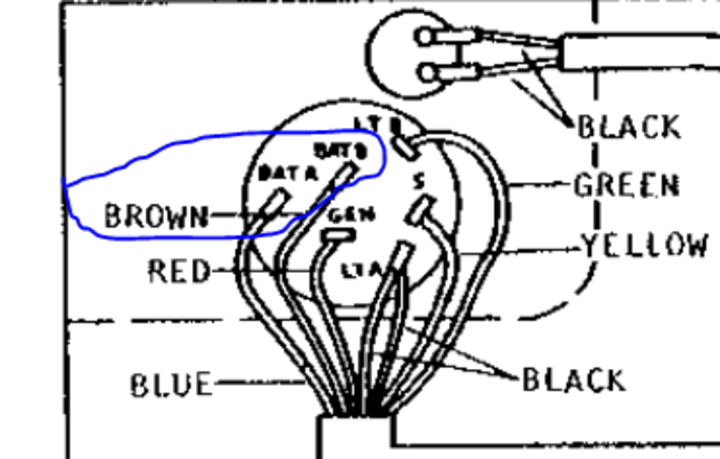 you have a diagram thatll show that switch and its wire connections? 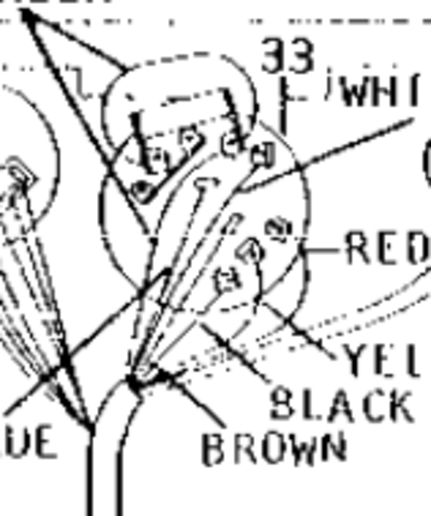 Posted: Tue May 26, 2015 2:14 pm Post subject: Re: 1967 John Deere 4020 light switch wiring. Posted: Wed May 27, 2015 3:14 am Post subject: Re: 1967 John Deere 4020 light switch wiring. This is wiring diagram for AR28402 switch used for 24 volt system. If converted to 12 volts switch should still be wired the same just attach both brown & blue wires at starter to top post on starter solenoid. If you installed a AR28401 or a 12 volt switch other than AR28402 or AR41288 you'll have to attach brown wire to blue wire. Posted: Wed May 27, 2015 10:36 am Post subject: Re: 1967 John Deere 4020 light switch wiring.